You’ve triumphed through pregnancy, childbirth and caring for a newborn. Now it’s time for YOU to be a priority: to be a stronger, fitter, healthier version of your new self so you can lead your family by example. Join us for Fit & Fab Small Group Training and share the cost of having your own personal trainer while reducing inches from your waistline, strengthening your muscles and feeling more confident about your body after baby. 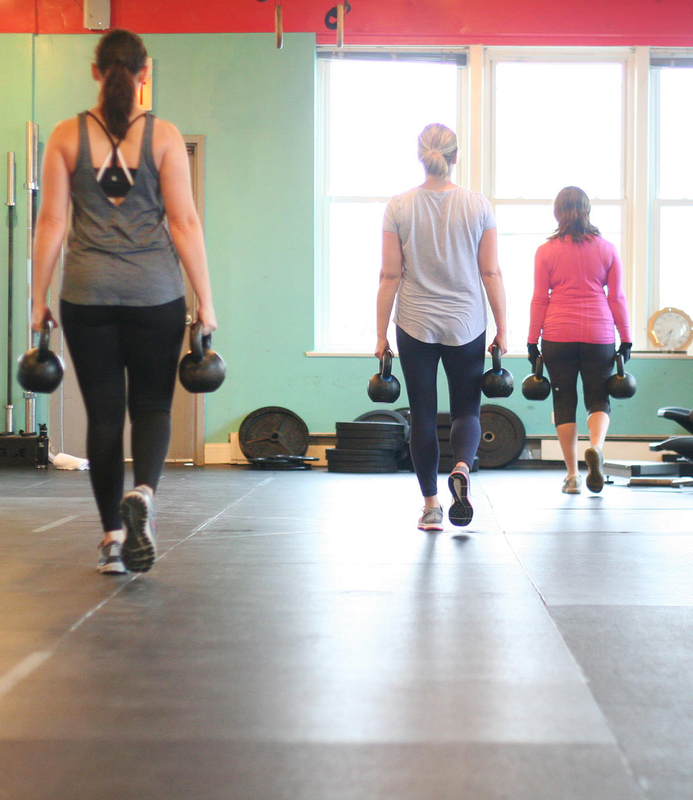 These small group workouts deliver measurable results through strength training— yep, I’m going to teach you the proper way to lift weights, swing kettlebells and be a badass! Each 60-minute workout incorporates high-intensity, interval-based exercises. 90 Days of YOU! Fitness & Nutrition for Moms is our signature program offered just three times. Fit & Fab is personal training in a small group setting. Participate as frequently as you like on the days that fit your schedule. Designated training time must be reserved on AMC’s Registration & Scheduling website. Space is limited, each session will have a minimum of two women and no more than 10. We reserve the right to cancel a session two hours prior without sufficient attendance (minimum two). Participants must be at least 12 weeks postpartum. It’s AMC’s policy if you are less than six MONTHS postpartum to request a waiver from your physician stating you are cleared to exercise prior to beginning our exercise program. This format is for moms only. How do I get started with Fit & Fab Small Group training? If you are at least 12 weeks postpartum, OR are a previous AMC participant, simply purchase a test-drive session or package and reserve your desired training time above. First time participants are invited to take a one-time test drive for just $25. If you are less than six months postpartum, a waiver from your healthcare provider stating you are cleared to exercise is requested before you begin training.